Wear these stackable rings alone or as a pair for an added dose of glam! 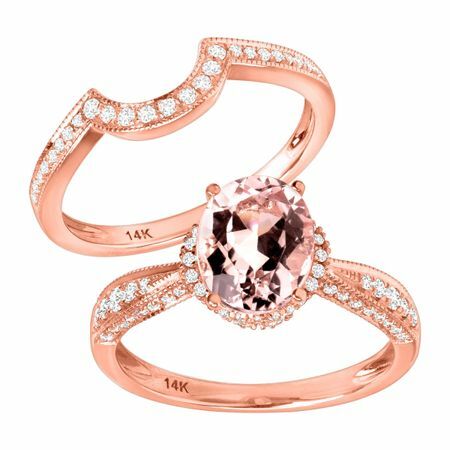 A 1 3/4 ct oval-cut natural morganite is the focal point of these stackable rings, crafted in 14K rose gold, accented with gleaming round-cut diamonds, totaling 3/8 ct, on both rings. Ring face measures 3/8 inches in width.